Various species of Pythium are predominant pathogens causing seedling disease on soybean in the north-central region of the United States. Pythium species are oomycetes that live in the soil and prevent germination of soybean by causing seed rot or seedling death known as “damping-off". Field observations have suggested that cold stress may also play a role in the occurrence of seedling diseases and poor plant stand. A higher occurrence of damping-off caused by Pythium is often associated with cold and wet soils. Presumably low temperatures at planting keep seedlings at a susceptible stage for a longer period of time, providing greater chances for seedling infection. 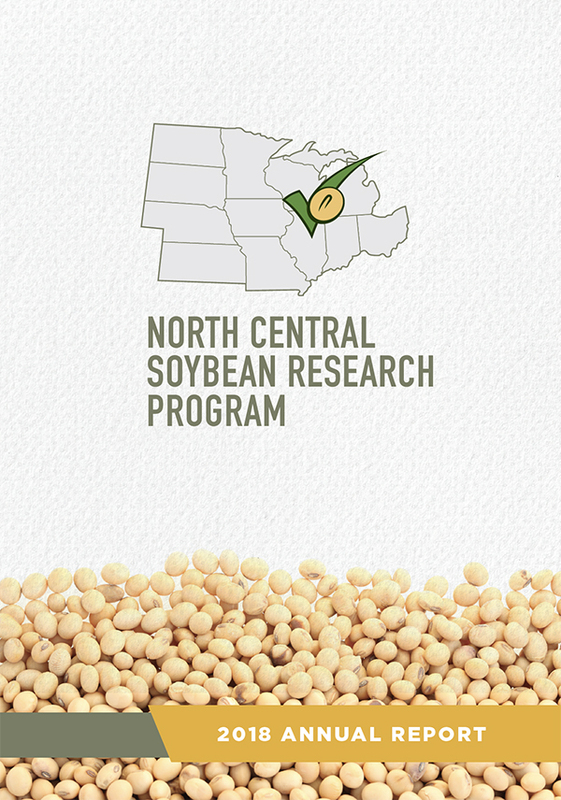 With checkoff funding provided by the Iowa Soybean Association and the North Central Soybean Research Program, we investigated if and when periods of cold stress that occur soon after planting affect soybean seed emergence in the presence of Pythium sylvaticum, a widely-occurring species of Pythium. The cold stress treatments that we tested mimic what occurs in the field soon after planting when cold fronts pass through the region for a few days, resulting in suboptimal soil temperatures for germination and seedling development. To our knowledge, this study is the first to evaluate the effect of cold stress after planting on soybean emergence. We compared how cold stress of 4ºC (39ºF) or 10ºC (50ºF) imposed at different times after planting affects the susceptibility of soybean to damping-off, and measured the effect of cold stress on pathogen growth, exudates from seed, and on the germination of sporangia of P. sylvaticum. Sporangia can be survival structures for Pythium species as well as serve as the primary inoculum causing plant disease. 1. In the presence of Pythium, periods of cold stress that occurred between 2 and 4 days after planting significantly increased the susceptibility of soybean to damping-off and significantly reduced emergence (Figure 1). Figure 1. Emergence (%) of soybeans non-inoculated (control) and inoculated with Pythium sylvaticum subjected to 96 hours of cold stress (4ºC or 10ºC) at different days after planting (dap). 2. No significant reduction in emergence was observed in the cold stress treatments when the pathogen was absent ("Control"). Note that we used high-vigor soybean seed. Seed lots with high vigor have high germination rates in the standard cold germination test, in which soybean seeds are subjected to 7 days of cold stress at 10ºC (50ºF). 3. When cold stress was absent, no differences in emergence were observed between inoculated and non-inoculated treatments, although Pythium inoculum significantly delayed emergence, and slowed seedling growth (Figure 2). Figure 2. Emergence (%) of soybeans non-inoculated (control) and inoculated with Pythium sylvaticum at different days after planting at 18ºC (64ºF). Error bars indicate confidence interval 95%. 4. Slower seedling growth was observed during the cold stress period. 5. Pythium significantly reduced seedling growth at all temperatures. However, the effect was significantly greater after a cold stress period. 6. We found greatest seed exudation occurred at 4ºC (39ºF), and more Pythium sporangia germinated in exudates collected from seeds exposed to this low temperature. 7. Low temperatures delayed mycelial growth of P. sylvaticum, although the pathogen was still able to grow at 4ºC (39ºF). 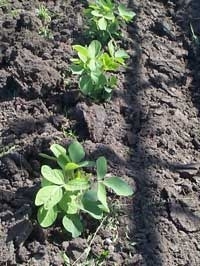 At this temperature, soybean seedlings stop growing. Previous research suggested that cold soils delay emergence and thus provide a greater chance for seedling infection. In this study we demonstrated that the timing at which cold temperatures occur can have a substantial impact on the incidence of damping-off caused by P. sylvaticum. Our data suggest that the increase in damping-off we observed after a period of cold stress could be due to several factors, including the apparent growth rate advantage of the pathogen at low temperatures, reduced seedling growth during and after a period of cold stress, and increased solute leakage from soybean seed that stimulates germination of sporangia of P. sylvaticum. Further research is required to elucidate why soybean seedlings are more susceptible to damping-off when cold stress occurs 2 and 4 days after planting. 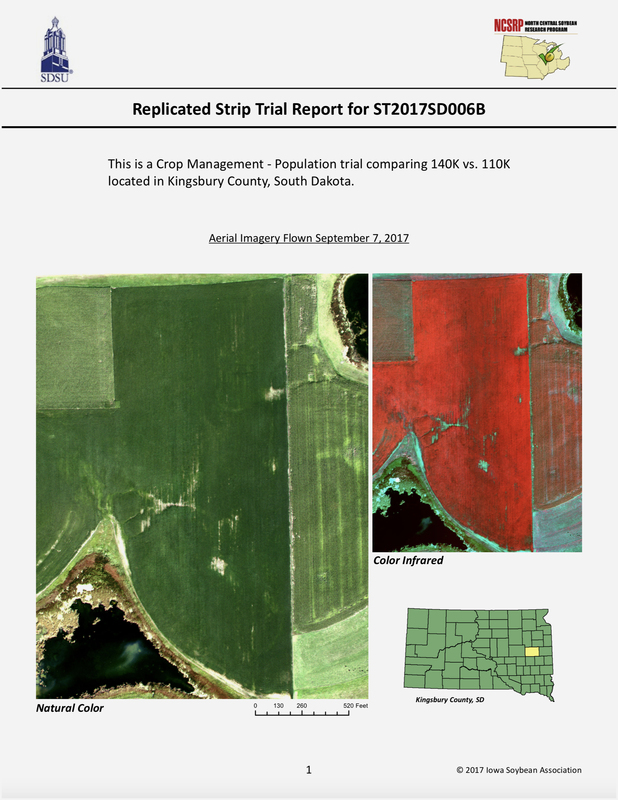 The data from this study will improve our understanding of how periods of cold stress that occur soon after planting increase the occurrence of damping-off, and this in turn will help to improve disease management recommendations. The effect of cold stress on damping-off of soybean caused by Pythium sylvaticum (abstract) Plant Disease, April 2018.